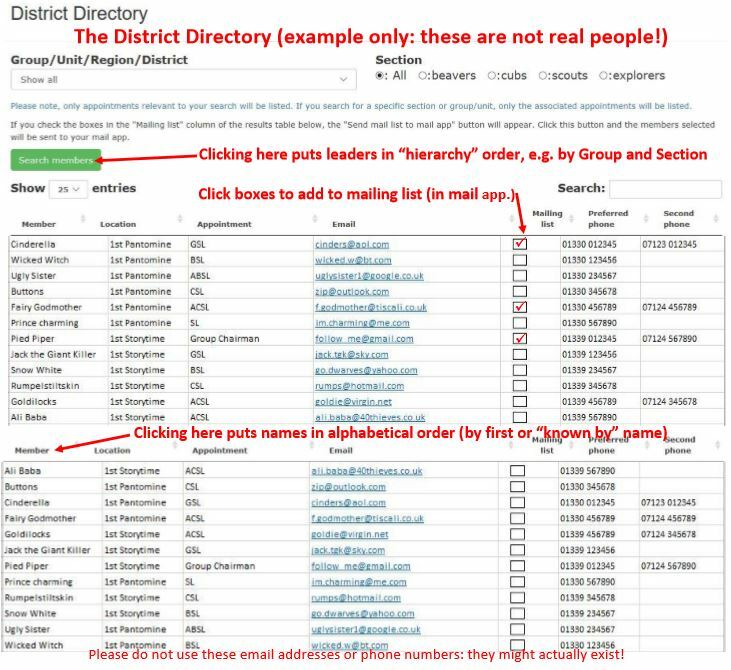 What is the District Directory? The Deeside District Members Directory (“Directory”) is a fully searchable, password-protected listing of key adult Members in Deeside District. 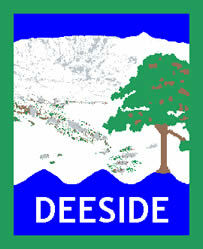 The Directory was created to facilitate communication within Deeside District. In Compass, you can find contact details for other Members - but only at your level in the hierarchy and below, and only at your Section or Group (depending on your role in Scouting). Contact information held against each Member consists of location, appointment, email address and (maximum 2) phone numbers. This Directory does not hold postal addresses or any Sensitive Personal Data such as ethnic background, age or religion. No youth members are included in the Directory. The Directory is password-protected. Members are given a username and password when they are added to the Directory. It is recommended that you take the earliest opportunity to change your password to something memorable to yourself. In order to keep personal information confidential, please do not divulge this password to anyone else. When you log on to the Members’ Area of our website, you will probably (depending on the version of your browser) be asked if you want to save your password for future use. Never save your password on public or shared computers. Please get into the habit of logging out (under "Member Area"). All members listed in the Directory (“Subjects”) need to give written permission to have their contact data listed (positive opt-in). Subjects can withdraw consent at any time. With your help, the Directory can remain fully compliant with data protection (GDPR) legislation. In order to remain up-to date, each Subject can amend/edit their own contact data. (Log in and go to “Update Details” in the "Member Area".) Other inaccuracies or omissions should be immediately communicated to the District Secretary for correction at secretary@deesidescouits.org.uk. When a volunteer leaves Scouting, the District Secretary should be informed so that they can be removed from the database. At this time the Subject’s data are removed and they no longer have access to the Directory. Adults with key roles in Deeside Scouting, such as District officers, Commissioners, Group Scout Leaders (or Group Contacts) and Section Leaders (or Section Contacts) will be invited to be included in the Directory. However, any adult with a Scouting role in Deeside District can ask to be added to the Directory. Only those adults listed on the Directory will have access to it. To access the District Directory, go to the Deeside District website, log in (using the username and password given to you) at "Member Login", and choose "District Directory" in the drop-down menu under "Member Area". What if I forget my log on details or want to change my password? If you forget your Username please contact the District Secretary. If you forget your password, think your password has been compromised or need a new password for any reason, you can request a reset. Go to "Member Login" and click "Need to reset your password?". You will need to enter the email address that we have on file. When you first enter the Directory, you are given the first page (25 entries) of the complete listing. You can either move to different pages (using the controls at the bottom of the page) or select the number of entries to be displayed, including "show all entries". The default listing shows members in a hierarchical order. This allows you to search for Group and Sectional teams, for example. Each team is ordered so that the team leader (e.g. Cub Scout Leader) is displayed first. At the top of the list are Members of the Regional Team. Then members with District roles are listed, following by the Explorer Units and then each Group in alphabetical order. If a member has more than one role, they will have an entry for each role. Clicking the header at the top of each column forces the listing to become ordered alphabetically according to the contents of that column. For example, clicking "Member" orders the entries by (first) name. Another click reverses that order. There are various search functions, including a drop-down list of Groups and Units etc and buttons for selecting Sections. These can be combined. So, choosing "1st Aboyne" with "Beavers" will list the Beaver Leaders at Aboyne. Don't forget to hit the green box "Search Members" to activate your search (and don't forget to clear search criteria before starting another search). Typing in the "Search:" box will search the entire database for your alphanumeric string. This is a good way of searching for individuals. When you have finished using the District Directory, please log out of the Member's Area.